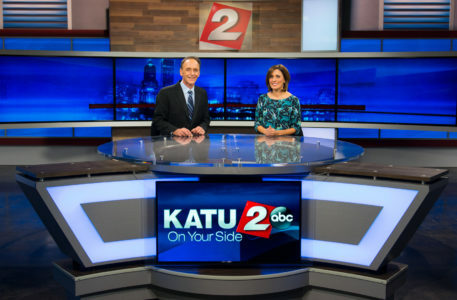 KATU-TV, the Sinclair ABC affiliate in Portland, Oregon, unveiled the rest of its upgrade this week, building upon the lifestyle set that debuted in September with a news studio from Devlin Design Group. Planked, rough aged wood helps capture the Pacific Northwest on the set, with modern touches throughout, including the latest in video wall technology and backlit panels. The sets main anchor desk uses a curving arc shape that angles inward on both sides, fronted by a monitor. 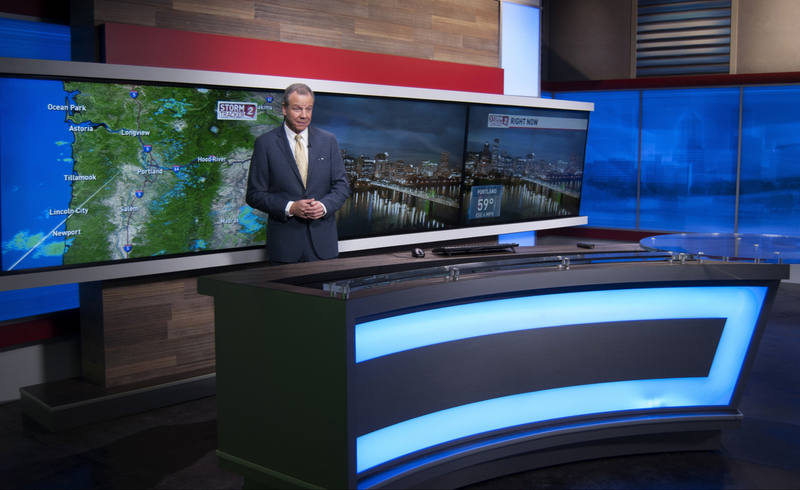 Behind, a 4×1 monitor array features a sweeping view of Portland along with an animated graphic. RGBA backlit graphics wrap around the sets main venues with more views of the city and mountains. To the right of the anchor desk, a monitor array is configured with 13 panels, using a 3×3 area for 16:9 video on the right-hand side. 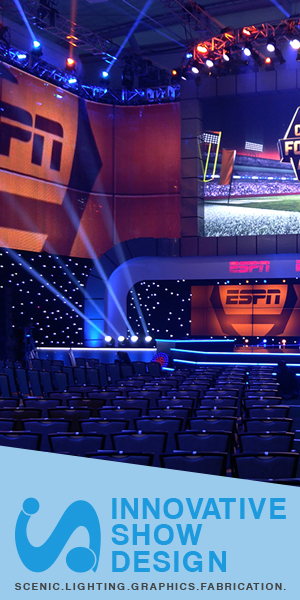 During stories or live coverage, video can be inserted into this section for toss-shots and standups while the other half of the array features branding and graphics. In the weather center, a 3×1 video wall is present with a think grey frame breaking up the space. 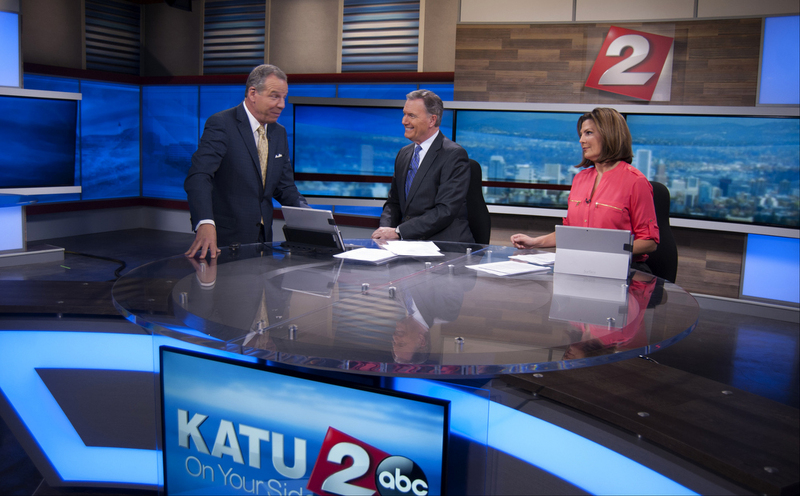 A large desk matches the anchor area with multiple positions for talent. In an adjacent studio, the sets lifestyle set features warm tones with stonework, providing another glimpse of the nature around Portland. 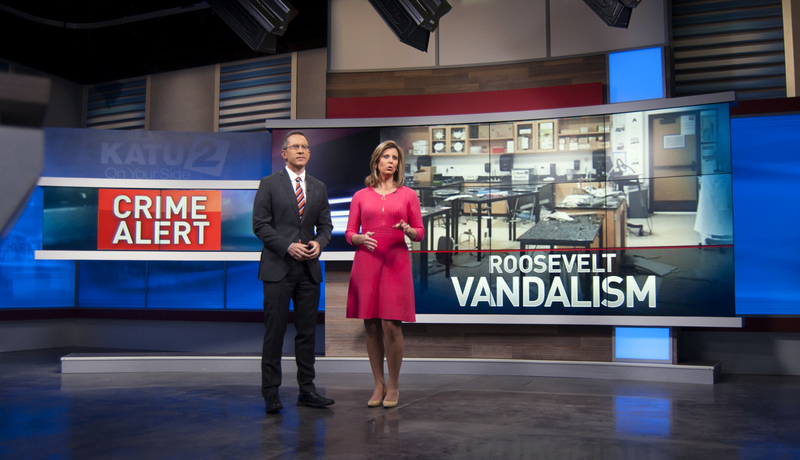 Overall, both sets work to capture the spirit of the area with unique finishes and plenty of flexibility through technology, allowing multiple looks throughout a newscast.